Chinese authorities ordered the Tibetans, mostly poor farmers, to sell off their land for government projects or business development projects. 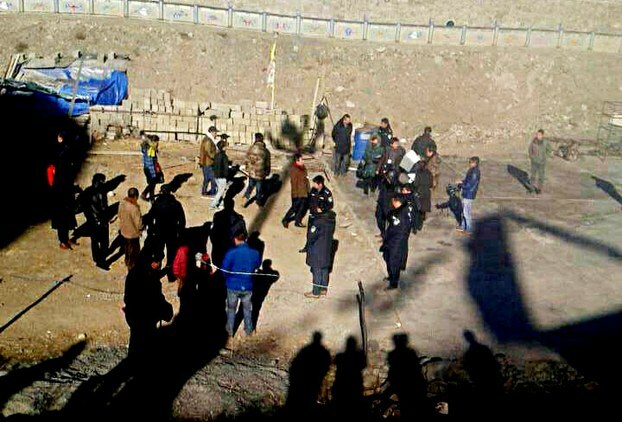 Last year, scores of Tibetans sat on a month-long demonstration against Chinese government's appropriation of their land in Ngaba County. Dharamsala (AsiaNews) - Four Tibetans have been injured after Chinese authorities beat them up for refusing to sell their land in Zamthang County in Ngaba Tibet Autonomous Prefecture on Wednesday, December 31. The four Tibetans, Tarey Kyi, Samlha, Ratna Dhargay and Lukyi have sustained severe injuries due to the beatings. Samlha is said to be in critical condition, sources said. According to Radio Free Asia, Chinese authorities ordered the Tibetans, mostly poor farmers, to sell off their land for government projects or business development projects. The Tibetans were threatened of dire consequences including confiscation of land. Last year, scores of Tibetans sat on a month-long demonstration against Chinese government's appropriation of their land in Ngaba County. In 1986, the Tibetans were promised jobs by the government for foregoing their land for the government to build cattle slaughterhouse and cold storage facility. Protests against land seizures by Chinese authorities in Tibet have led to mass demonstrations and at least three self-immolations by Tibetans including a Tibetan woman in April, 2013.